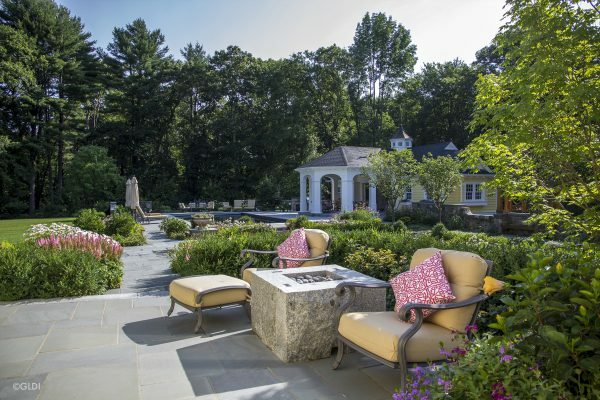 Taking a narrative approach to landscape architecture is the hallmark of Cambridge-based Gregory Lombardi Design. The elements within the landscape create an outdoor storybook one can experience and interact with. “I tell people that I think about landscape as an experiential narrative, like a movie that you live in,” award-winning “storyteller” Greg Lombardi says. 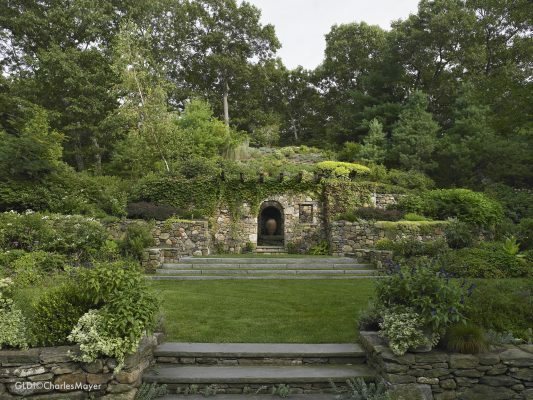 He has been a landscape architect since 1988 and owner of Gregory Lombardi Design since 1992. 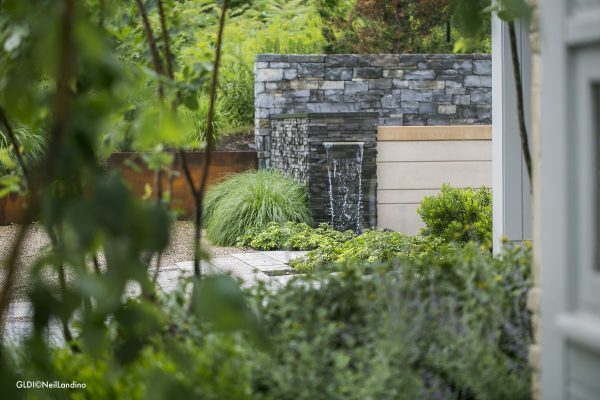 He and his team often push the envelope to craft unique outdoor spaces for highly discerning clients, following a mantra that landscaping is so much more than the garnish around buildings. “It’s more about space planning and creating that narrative,” he says. In each of Gregory Lombardi’s projects, he looks at the functional elements that people want a pool, an outdoor kitchen, a pergola, etc. “You have to build that into an aesthetic envelope,” he says. How do the details about the elements come together? To the viewer, does it unfold like a story? “There are layers of discovery that draw you into the landscape more completely and offer a bigger understanding of the universe, natural systems, anything that gets you to connect,” he says about his designs. To achieve that, Lombardi follows a process to reveal a property’s unique story. The first step is sitting down with the client for a kick-off meeting to “get inside their head” and find out how they see the landscape, and how they intend to use it. Gregory Lombardi then develops the functional program. During this early stage, he decides what resonates with the client stylistically. Neat and formal? Organic and naturalistic? “We start to look at the visual language of those things,” he says. Armed with client comments, Lombardi refines his plans, all the while keeping a record of potential costs. He maintains a file of current pricing information of projects from the last year so he’s ready with placeholder costs. Once materials are chosen and costs are determined, they make construction drawings, as well as layout and grading plans. Those are sent to contractors independent from the firm who come back with exact costs. The chosen contractor does the construction, and Gregory Lombardi Design acts as construction administrators. “It’s all about managing the process of getting it built and making sure that what was agreed upon is being provided by the contractor,” Lombardi explains. Lombardi’s undergraduate degree in art history is partly responsible for his affinity toward various stylistic periods (e.g., classicism, modernism) and what they mean. He also prefers working with enlightened clients who are excited about the landscape possibilities. “They say, ‘I have this beautiful piece of land, and I’m interested in doing some of these things that are interesting and cool,’” Lombardi says. “I want to develop something from what other people may not have seen before, and we can make the narrative happen,” he says. Take a look at Gregory Lombardi’s design portfolio for inspiration on how your landscape’s story can unfold.